Did you take out a home equity line of credit in the last eight or nine years? Then you better prepare for a higher monthly payment -- maybe one that is as much as two times higher than what you're paying today. That's because many of these lines of credit -- known more commonly asHELOCs -- are ready to move into their amortization phases. That's when homeowners begin paying off not only the interest portion of their HELOCs, which many have been doing now for eight or nine years, but the principal, too. And when the amortization begins? You could see your monthly payments double or even triple once your loan reacheses its 10th birthday. That's a big increase. And it's one that many homeowners don't even realize is coming. "Some people are going to be big-time surprised when they get their statement," said John Walsh, chief executive officer of Total Mortgage in Milford, Connecticut. "A lot of people are going to be absolutely shocked at how much higher their payment will be." There is hope, though. You might be able to find relief by refinancing your HELOC into your primary mortgage loan or into a new HELOC. You might also be able to work with your lender to extend the interest-only phase of your HELOC. To understand the problem that many homeowners are facing, it helps to know how HELOCs work. HELOCs have two phases. For an initial period -- usually 10 years -- HELOCs go through what is known as the draw stage. During this time, homeowners are paying off just the interest on their line of credit. Because of this, monthly payments are low. The second phase of a HELOC is known as the amortization period. This is when homeowners start paying off both the interest and principal of their lines of credit. It's also when homeowners' payments might spike, sometimes dramatically. Consider these numbers provided by Peter Grabel, senior loan officer with Luxury Mortgage in Stamford, Connecticut: If you are paying off a $100,000 HELOC with an interest rate of 3 percent and a 20-year repayment period -- this repayment period starts once the draw period ends -- you're only paying $250 a month during the draw period. But once you enter the amortization or repayment period? Your monthly payment on that same line of credit will jump to $555 if your interest rate remains at 3 percent. If your interest rate on that same HELOC rises to 5 percent, your monthly payment will jump to $660 once you enter the amortization period. "People are informed that this will happen when they first take out their HELOCs. But that explanation is 10 years old by the time the amortization period rolls around," Grabel said. "The amortization period is so far out when they take out their line of credit, most people don't even think about it. In the back of their minds they know that the bigger payment is coming, but they rarely do the math to figure out how big the impact can be." Don't panic if your draw period is coming to an end. Homeowners can take several steps to relieve their financial burden. They can do nothing, of course, and simply make their higher payments. This might be a good option for owners who have taken out smaller HELOCs. If you took out a $30,000 HELOC with an interest rate of 3 percent and a repayment period of 20 years, you'd pay $75 a month during the interest-only draw period. Once you enter the amortization period, your monthly payment would jump to $166. That figure might not be high enough to cause you stress. You might choose to simply start paying off your HELOC at that monthly figure. But if you don't want to pay your newer higher monthly fee? It might be time to refinance. Sam Trevey, first vice president of consumer home equity at Atlanta-based SunTrust Bank, says that many of his bank's customers opt to refinance their HELOCs into a new HELOC once their existing lines of credit near the end of their draw periods. By refinancing, homeowners are able to start a new 10-year draw period of interest-only payments. This keeps their monthly payments low. "We see a lot of interest in refinancing to a new HELOC," Trevey said. "That solution does gain our clients continued access to their HELOC funds. The HELOC is a product that these clients have been in for the past 10 years. So they are familiar with it. They are aware of its features, so they want to stay with it if they can." It can be more challenging for consumers to qualify for a new HELOC today, though, Grabel said. Lenders are more cautious about passing out HELOCs than they were eight or nine years ago, he said. "Back then, lenders were almost giving them away," Grabel said. "You basically had to sign your name and you qualified. Today, HELOCs are pretty much full-document. The underwriting guidelines are more conservative." If you want to refinance to a new HELOC, you'll need to provide proof of your income. You'll have to provide copies of such financial statements as your most recent paycheck stubs, W2 statements and maybe even your tax returns. Your lender will also check your credit. Some homeowners -- if they have enough equity in their homes - might choose to refinance as a way to combine their HELOCs and first mortgage loans into one large 30- or 15-year fixed-rate mortgage loan. The advantages of this approach? Homeowners will now be able to pay off their HELOC balances while enjoying the still-low interest rates attached to fixed-rate loans today. Again, though, not everyone will qualify for this kind of a refinance, Grabel said. Homeowners might have suffered a job loss and a drop of income that keeps them from qualifying for a new HELOC or traditional mortgage loan. Maybe they are underwater, meaning that they owe more on their mortgage loan than what their home is now worth. That, too, can prevent lenders from approving their refinance requests. And those homeowners who can't refinance and fear that they won't be able to afford their new monthly HELOC payments? "There often isn't a great solution for homeowners in that situation," Walsh said. His suggestion? 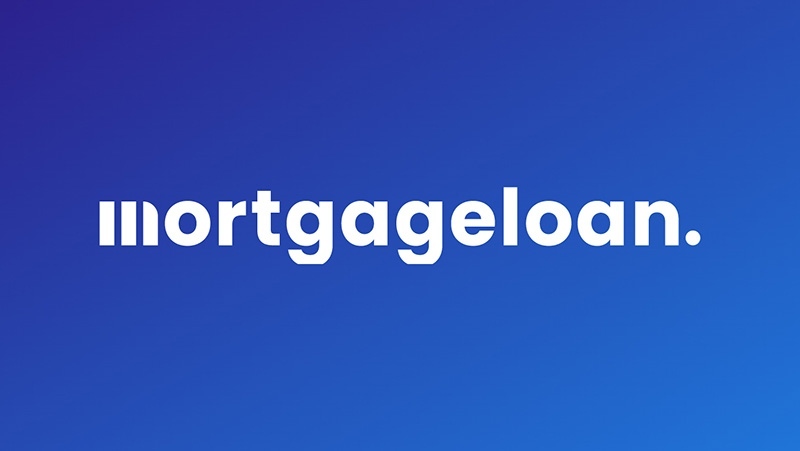 Homeowners need to call the mortgage lender behind their HELOC as soon as they determine that their new monthly payment might be too high for them to afford and see if they can arrange an extended payment schedule or some other type of loan modification. "Their lenders might be able to work something out with them," Walsh said. That solution might mean extending the interest-only period of a HELOC for another five to 10 years, Walsh said, though banks are under no obligation to do this. SunTrust has its own maturing accounts group that works with homeowners whose HELOCs are nearing the end of their draw periods, Trevey said. Often, SunTrust will extend the repayment or amortization period of a HELOC to make the new monthly payment more affordable. Say that the homeowner's repayment period -- starting immediately after the draw period ends -- is 10 years. SunTrust might extend that repayment period to 20 years. Because the repayment period is now 10 years longer, the monthly payment on the HELOC will be lower. It will still increase from its draw period, but it won't rise by as much. The key for homeowners worried about rising HELOC payments? Trevey says that they need to communicate early with their lenders. That way, they can prepare for the changes and seek solutions before those payments actually rise. SunTrust begins contacting its clients a full 12 months before their HELOCs are due to enter the amortization period, Trevey said. Only about half of SunTrust's HELOC clients are prepared for their new monthly payments when their draw periods end, Trevey said. SunTrust's early efforts to prepare the other half of its HELOC clients, then, are important, he said. "Borrowers need to be prepared for what might happen," Trevey said. "They need to start thinking early about the steps they might need to take."